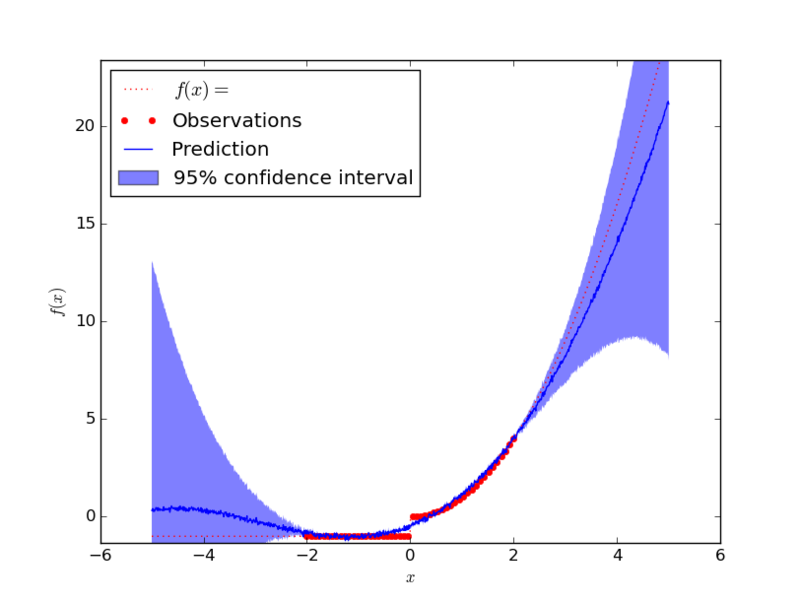 I was recently quite disappointed by how bad neural networks are for function approximation (see How should a neural network for unbound function approximation be structured?). 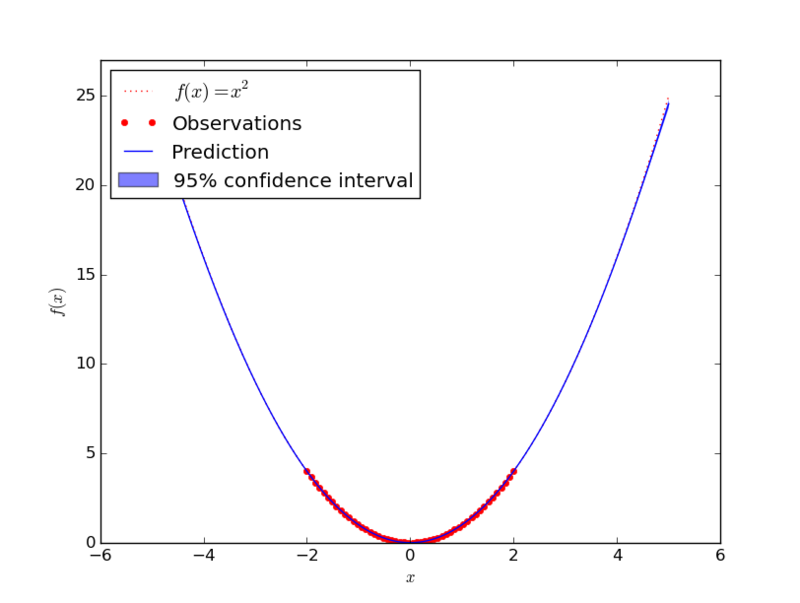 However, I've just found that Gaussian processes are great for function approximation! Interpolation: What values does the function have in between of known values? Extrapolation: What values does the function have outsive of the known values? I did a couple of very quick examples which look promising. I've tried if with higher order polynomials, more complex polynomials. No problem. I guess a human would see the wave pattern and do a better job here. 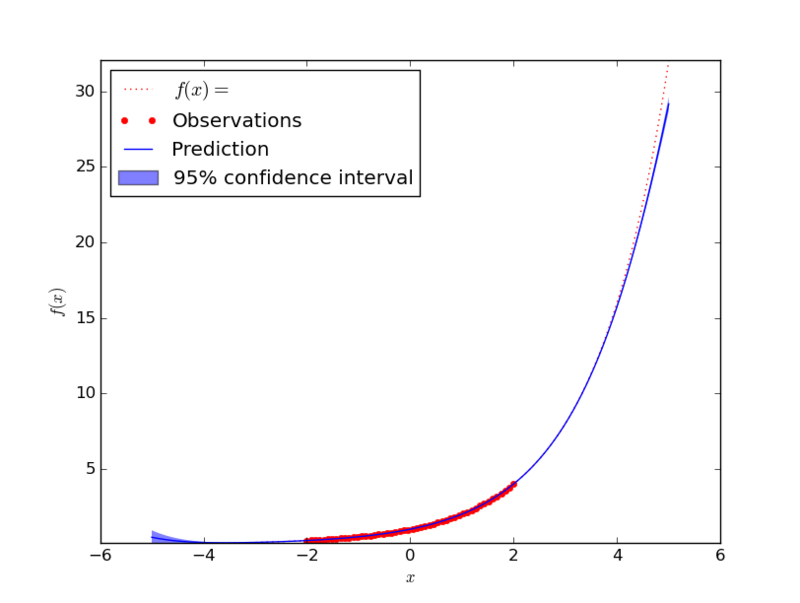 The predicted value is obviously not correct, but you should note that almost all function values are within the 95% confidence intervall! The following code needs numpy and sklearn. 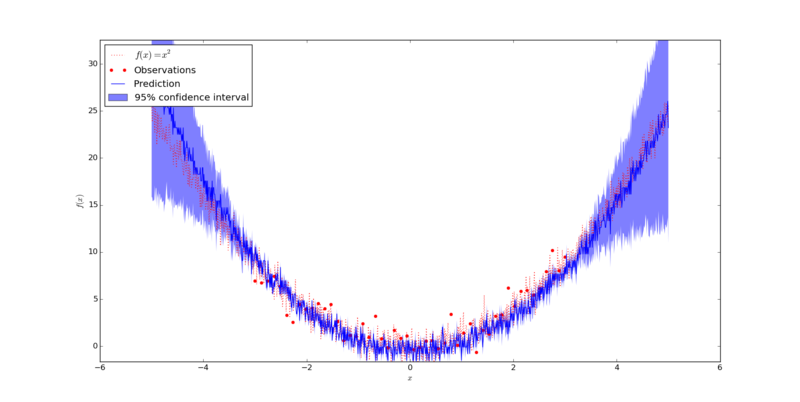 For the plots, you need matplotlib. """Example how to use gaussion processes for regression.""" 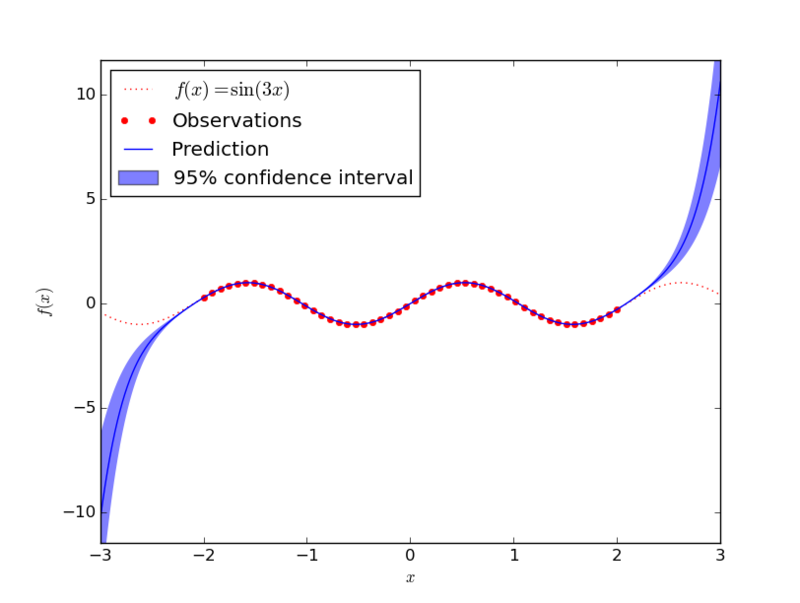 www.gaussianprocess.org: The definitive book about gaussian processes. It's freely available online!